This is the first release of the cooperation between Henry Evans and Card-Shark! The Daredevil Deck seems to be an innocent Phoenix Deck, but it is marked in a devious way! You will not believe it! It is THAT bold! A marked deck that you can read blindfolded, with markings 350% bigger than the Phoenix Marked Decks and 700% bigger than the Ultimate Marked Deck! Perfect for Parlour, Stage and Video Performances. And for all magicians with bad eyesight, who cannot use a Marked Deck any longer. 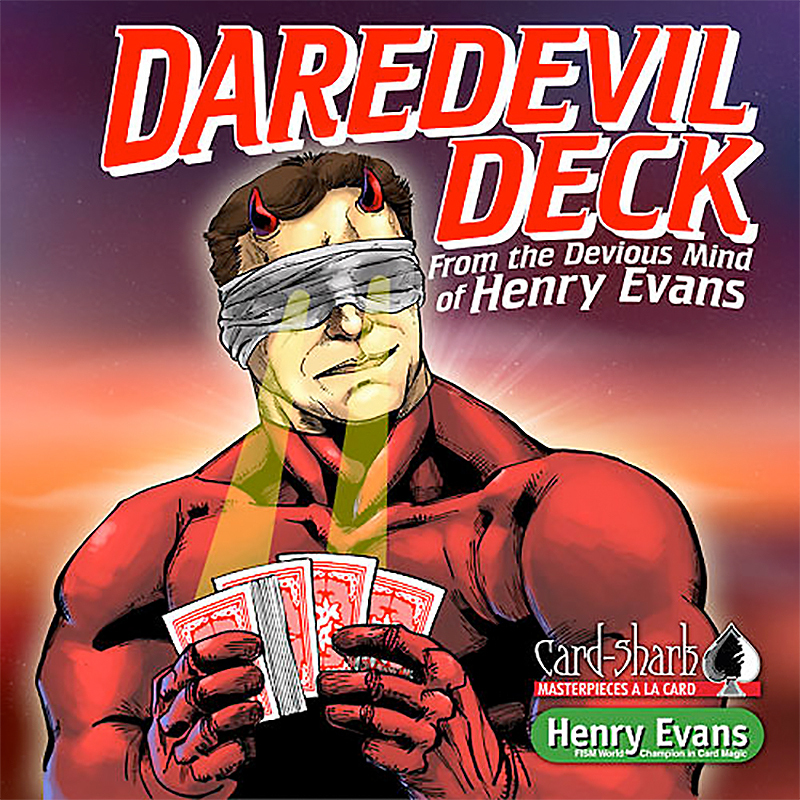 The included DVD (english) teaches Henry's Killer Routine, using the Daredevil Deck! "How much to keep this a secret? Please send me enough bricks to build a house." - Charlie Frye "Holy Crap" - Marc Desouza "This made me a believer in supernatural powers!" - Rocco "That REALLY Blew My Mind! Most Amazing Marked Deck I've EVER seen!" - Doc Eason "Even though I designed it, I could not believe that this marking would stay unnoticed. And now, at every convention where I let magicians handle the deck, Henry proves me wrong. His idea is brilliant and he knows exactly how far he can go!" - Card-Shark • The cards are poker size. Αυτό το προϊόν προστέθηκε στον κατάλογό μας την Saturday 16 June, 2018.